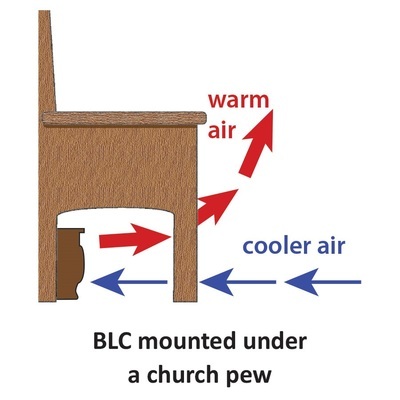 Sometimes a conventional church heating system may not be suitable, so we have teamed up with a leading cold case electrical heating manufacturer to provide a low-cost and effective alternative. 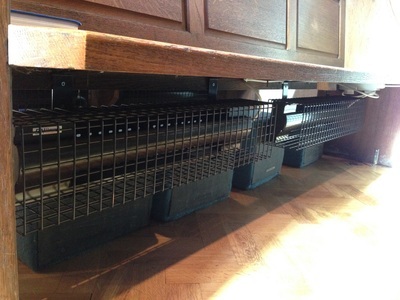 Our electrical heating solutions provide immediate and direct heat to people in attendance at the church. This is where direct electric heating comes in. 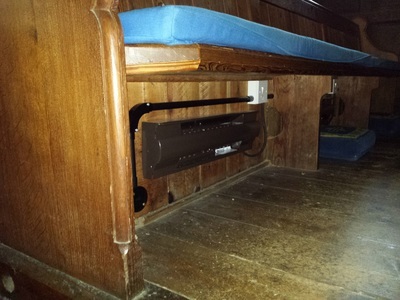 Located under the pews, our Dimplex skirting heaters provide instant heat to worshippers and patrons of the church at the flick of a switch. The ‘Pentagono’ heater represents an effective but relatively low cost heating solution for churches and religious buildings. 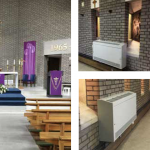 Its modern appearance and stylish design fits perfectly into most church environments whilst the impressive 7.5kW to 10kW output can easily heat the congregation in an instant. 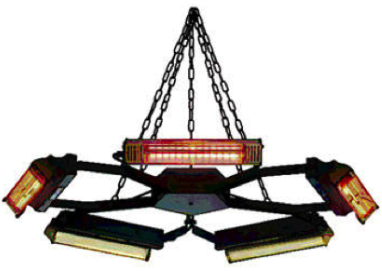 The ‘Pentagono’ Chandelier consists of a central section with 5 radial arms each housing a short-wave infra-red heater able to heat the congregation directly without having to heat the air up in between. The SCH5 is suitable to be used wall mounted or floor mounted (if floor standing they must be fitted with the feet kit CH9101). 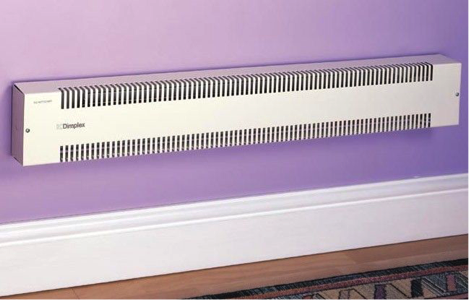 The heater features a safety cut-out and has no user controls but are suitable for connecting to a thermostat or a timer. 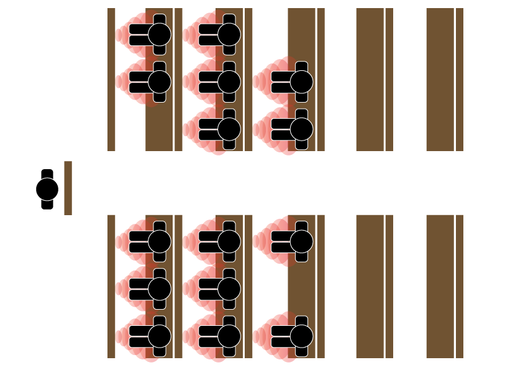 When heating a church many variables must be taken into account. So chosing the correct heating system is vital. 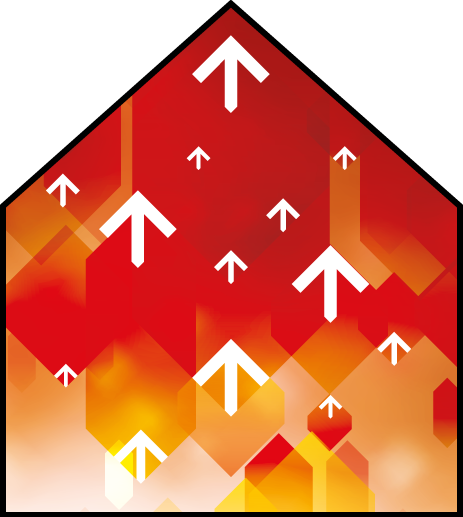 Also without doubt your other primary concerns will be the Running Costs, Installation Costs and Time, Servicing Costs and Overall Efficiency for the Primary Objective – To heat your congregation. The law of physics define that hot air rises. So why pay to heat the ceiling? There are also other factors that all contribute to the overall running costs, these include: Constant use to maintain an ambient temperature, Expensive serving and maintenance and risk of freezing and leaks when not in use. 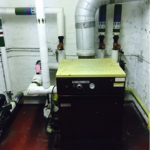 Hot air heating systems need to run longer in order to fill the whole room so people may feel the benefit. This is inefficient and expensive. 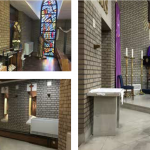 With an electrical church hearting system, you essentially have pay as you go heating, with very low running costs, and immediate direct heating to your congregation and any other ares you specify, without the wasted heat being lost like with a hot air system. 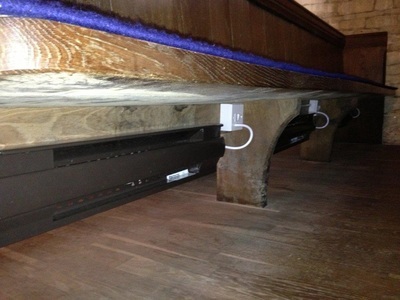 With a simple click of a switch, your congregation can enjoy instant heat, there’s no warm up times, and no loss of heat.